de aniversário: ter Viagem a Tóquio ao serão (mesmo que o cansaço tivesse apagado a parte final). life as travelling through time, memory. não se precisava disto mas... "358 movie directors choose OZU Yasujiro’s “Tokyo Story” Greatest film of all time". "It’s a surprising, an enlightened, choice. 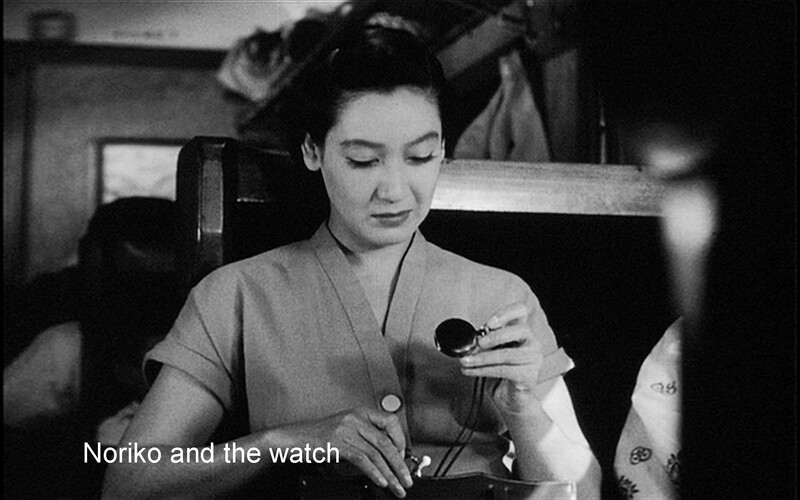 Ozu’s work is miles away from the flash of Kane and the psychosexual weirdness of Vertigo. Tokyo Story is a gentle, nuanced portrait of a family whose bonds are slowly, inexorably being frayed by the demands of modernization. The movie’s emotional power is restrained and cumulative; by the final credits you’ll be overwhelmed both with a Buddhist sense of the impermanence of all things and a strong urge to call your mother. But perhaps the reason filmmakers picked Tokyo Story of all the other cinematic masterpieces out there is because of Ozu’s unique approach to film. Since the days of D. W. Griffith, almost every filmmaker under the sun, even cinematic rebels like Jean-Luc Godard, followed some basic conventions of the form like continuity editing, the 180-degree rule and matching eyelines. Ozu discarded all of that. Instead, he constructed a highly idiosyncratic cinematic language revolving around match cuts and rigorously composed shots. His film form was radical but his stories were universal."